= GTO wa furui desu. 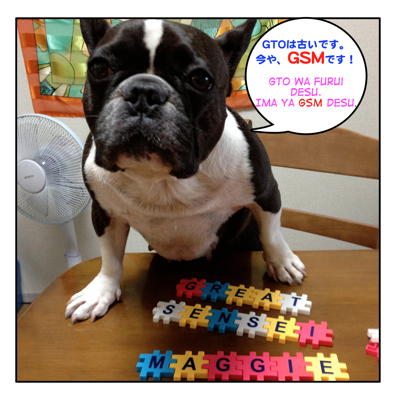 Imaya GSM desu. = GTO is old now. It’s time for GSM! Hi, everyone! It’s time to review all the Super Basic Words that I tweeted in past few months again. (If you don’t know what I am talking about, go check my previous review lessons. I have been teaching one word per day on Twitter. I know one word may not seem to be enough to master Japanese but see how much we have learned so far. OK, in this Part 8, I have been focusing on adjectives. GTO = Great Teacher Onizuka = a very popular manga, TV series. = GSM no ressun wa ikaga deshita ka? = So how did you like GSM’s lesson? Ex. それを聞いて安心しました。= I am relieved to hear that. GSM is much more interesting than GTO indeed.